This is the transcript of the exchange I had with Mr S. Iswaran, Second Minister for Home Affairs, during Question Time in Parliament on 13 April 2015. My question was prompted by reports that a North Korean diplomat was caught at the airport in Dhaka, Bangladesh, with 27 kg of undeclared gold, after arriving on a flight from Singapore, where he had transited. In his reply, the Second Minister said that there is no weight limit on the amount of gold that travellers are allowed to transport in and out of Singapore. This is the transcript of the exchange I had with Mr S. Iswaran, Second Minister for Home Affairs, during Question Time in Parliament on 13 April 2015. My question was prompted by reports that a North Korean diplomat was caught at the airport in Dhaka, Bangladesh, with 27 kg of undeclared gold, after arriving on a flight from Singapore, where he had transited. Mr Gerald Giam Yean Song asked the Deputy Prime Minister and Minister for Home Affairs (a) what is the weight limit on the transport of gold and other precious metals in and out of Singapore by individual travellers; (b) whether diplomats are exempt from this limit, if any; (c) whether the Police is aware of a diplomat carrying up to 27 kg of gold bars in his luggage on a flight out of Changi Airport in March 2015; and (d) what measures are in place to ensure that diplomats do not abuse their diplomaticimmunity to carry precious metals, drugs or weapons in and out of Singapore in their luggage. The Second Minister for Home Affairs (Mr S Iswaran) (for the Deputy Prime Minister and the Minister for Home Affairs): Mdm Speaker, there is no weight limit on the amount of gold and other precious metals that can be transported in and out of Singapore by travellers. In line with the international standards set by the Financial Action Task Force (FATF) to combat money laundering and terrorist financing, our measures and controls are focused on the point of sale of such items in Singapore. All precious stones and metal dealers (PSMDs) are required to conduct customer due diligence and file a Cash Transaction Report (CTR) with the Suspicious Transaction Reporting Office when they sell any precious stone, precious metal or precious product to a customer in cash exceeding S$20,000. This is supplemented by the general suspicious transaction reporting (STR) regime, which requires all persons in Singapore to report any knowledge or reasonable suspicion of criminal conduct which comes to their attention in the course of business or employment. Police is aware of media reports of a case last month where a person allegedly attempted to import gold into another country without making the proper customs declarations, after arriving on a flight originating from Singapore. Police records indicate that the person, who is a foreign diplomat, but not accredited to Singapore, did depart on a flight from Changi Airport where he was screened before boarding and no security threat items were found on him. All diplomats, like other travellers, are screened for threat items before they are allowed on board an aircraft. This involves the use of metal detectors for person checks, and x-ray screening for their belongings. Although the personal baggage of diplomats are generally exempted from inspection under the Vienna Convention on Diplomatic Relations (VCDR), a diplomat’s personal baggage will be inspected if there are serious grounds for believing that he is carrying prohibited or controlled items, such as weapons and drugs. Mr Gerald Giam Yean Song (Non-Constituency Member): I thank the Second Minister for the reply. I have two supplementary questions: first, why was there no detection of the alleged items in his baggage, given that it was detected when he arrived in Bangladesh? The Second Minister said that no security threat items were discovered. I suppose this does not include gold. Would the diplomat have been allowed to transport that amount of gold, allegedly, through Changi Airport on that day? Secondly, under the Vienna Conventions on Diplomatic Relations, diplomatic bags carried by diplomats are protected from search and seizure. This means they need not pass through security screening. How does the Police ensure that this is not exploited as a security loophole for terrorists or trafficking activities? I am concerned about this because there is no limit to the size of the “dip bag” (diplomatic bag), and there have international incidents in the past where “dip bags” have been used to smuggle a variety of banned items, including drugs, weapons and even people. Mr S Iswaran: Mdm Speaker, I thank the Member for his questions. First, gold is not a security threat item, and that is why it was not subjected to a security threat screen. Our officers would conduct a normal security threat screen, and if items such as weapons or suspicious objects, or things like large amounts of cash are detected, then they tend to follow through on further checks, as required by the protocol. So, the Member should be clear that this is the context. There was no lapse in terms of security threat assessment and the checks that go with it, as part of the pre-boarding screening. Secondly, the Member talks about diplomatic bags and I think he is getting a few things mixed up here. The “dip bags” are separate to the personal bags of diplomats. Diplomatic bags have a certain kind of treatment, but diplomats who are travelling and carrying personal bags are subject to pre-board screening, like all other travellers, as I have said. That is the protocol that is observed, not just in Singapore but internationally, because that is what is necessary to ensure safety in aviation and in travel. Mr Gerald Giam Yean Song: I thank the Second Minister for his replies. Two points: first, in response to his second point, I am aware that only the “dip bags” are excluded from screening. So, my question is: given that these bags are excluded from screening, would that pose a security threat or threat of smuggling of any other items. On the first point about the gold, I acknowledged that it was not a security threat item. But would this amount of gold have been allowed to pass through if it was detected without being declared. Mr S Iswaran: Madam, on the first question, if there is suspicion or serious suspicion that there is a matter of security threat, then the police and the relevant agencies are not constrained from making the appropriate checks on the various items that may be carried by diplomats. It is an international protocol that we observe. So, any risk that the Member imputes to be associated with such practice is a risk that is internationally acknowledged as well. It is not peculiar to the Singapore regime. 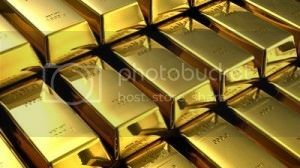 Secondly, on the amount of gold and whether therefore it would have been allowed to pass, I want to reiterate first the point that we do not have any controls on the quantity of these precious metals, et cetera, that are being exported out of Singapore, and usually there are certain basic conditions that they observe when they do so. The Member should also be aware that it is not uncommon, especially for travellers to certain parts of the world to carry what you and I might consider not insignificant amounts of gold in their personal baggage. If they are able to give a clear explanation that these are their personal effects or for personal consumption purposes, generally they would be allowed to carry on with their travel with those items. Mr Gerald Giam Yean Song asked the Minister for Trade and Industry (a) if he can provide an update on the Trans-Pacific Partnership (TPP) negotiations; (b) when is the Agreement expected to be successfully concluded; (c) what are the key obstacles that need to be overcome; (d) to what extent the TPP is likely to improve market access for Singapore-based firms in US, Japan and other markets; and (e) what are our economic agencies doing to prepare Singapore firms, especially SMEs, to take advantage of the improved market access that a successfully concluded TPP can bring. Mr Lim Hng Kiang: The Trans-Pacific Partnership (TPP) is envisioned as a high-quality agreement that will boost regional economic integration and improve market access for our exports. It also serves as a possible pathway towards an eventual Free Trade Area of the Asia-Pacific (FTAAP). Significant progress has been made over the past five years of negotiations. All Parties are working hard to conclude negotiations as soon as possible given the economic and strategic importance of this agreement. Singapore already has bilateral FTAs with nine of the eleven TPP Parties. The additional economic benefit of the TPP will come through enhanced cooperation on regulatory measures, and integration of this region into a single manufacturing base and market. Our businesses will find it easier to operate across all TPP countries, and participate in the global supply chain. Furthermore, common trade facilitation rules across TPP Parties will reduce compliance costs for businesses and generate substantial gains in supply chain efficiency for traders operating across them. These benefits are particularly important for SMEs, which will be able to operate with reduced cost and greater certainty. The TPP will also include disciplines on new growth sectors such as e-Commerce and Intellectual Property, which will help foster innovation and commercialisation of new insights and discoveries to benefit consumers. IE Singapore promotes the awareness and utilisation of the various FTAs we have signed among Singapore-based companies, big and small, through both customised and broad-based outreach efforts. These include one-on-one briefings and consultations to companies and industries, as well as seminars co-organised with Trade Associations and Chambers to inform and educate the business community on the benefits of each FTA. There are also a range of capability-building initiatives such as the FTA Certificate Programme for companies and train-the-trainer sessions for Trade Associations and Chambers. Feedback channels are also open to companies to assist them with FTA implementation issues. Mr Gerald Giam Yean Song asked the Minister for Manpower for each year since 2005 (a) how many CPF members have successfully applied for CPF withdrawals on each of the following medical grounds: (i) permanently incapacitated from ever continuing in any employment (ii) terminally ill with a life expectancy of 12 months or less (iii) suffering from a severely shortened life expectancy (iv) mentally incapable of handling and receiving monies (v) other reasons; (b) what is the proportion of successful applications which have been granted a full CPF withdrawal; and (c) how many applications have been rejected. Mr Tan Chuan-Jin: CPF members with serious medical conditions can apply for an early withdrawal of CPF savings under the CPF Medical Grounds Scheme. The current scheme was introduced in July 2006, and there are four grounds for qualifying under the scheme. Members who wish to make withdrawals on any of these grounds will need to have their medical conditions certified by a doctor either from a public medical institution or the CPF Board’s panel. Members who are terminally ill will be able to withdraw their retirement savings in full. Members who are permanently incapacitated from ever continuing in any employment, suffer from an unsound mind or have a severely reduced lifespan will be able to withdraw their retirement savings after setting aside a reduced Retirement Sum at the point the application is granted. About two-thirds of applications between 2007 and 2014 under the Medical Grounds Scheme were successful. The remaining applications were rejected as the applicants were unable to provide the required certification from the approved doctors. experience when using legitimate Internet services. In January this year, Singtel CEO Chua Sock Koong reiterated her belief, which she first made public last year, that telcos should be allowed to charge major Internet content providers ­like WhatsApp, Facebook and YouTube­ for consumers to have faster access to their content. Many saw this as a violation of the principle of net neutrality, which has been a subject of intense debate in the US. Mr Gerald Giam Yean Song asked the Minister for Communications and Information with regard to “net neutrality” (a) whether Internet Service Providers (ISPs) or network operators are allowed to (i) throttle legitimate Internet content, albeit without rendering them unusable and still remaining above the threshold of IDA’s minimum Quality of Service (QoS) requirements; (ii) impose extra charges on consumers or providers of over-the-top (OTT) services like WhatsApp and Skype; and (b) whether there are any plans to introduce net neutrality regulations to prohibit discriminatory network management practices which negatively affect consumers’ experience when using legitimate Internet services. Assoc Prof Dr Yaacob Ibrahim: IDA’s net neutrality policy was developed in 2011 after consultation with the industry and the public. IDA’s policy aims to encourage innovative services by ISPs, while protecting consumers’ interest in enjoying quality Internet access. For example, ISPs in Singapore can manage bandwidth usage during peak hours to ensure that user experiences are generally not affected. Certain applications which take up a lot of bandwidth, such as the exchange of files, may be managed during these periods. However, they are not allowed to block legitimate Internet content altogether. IDA’s policy also allows ISPs to offer differentiated services tailored to the needs of different users, while complying with IDA’s information transparency, Quality of Service standards and fair competition requirements. These providers must publish their network management policies, so that consumers can make informed choices when selecting a service plan. For example, some ISPs have introduced specialised broadband plans for Internet gamers who desire fewer delays in Internet connection and/or direct connection to gaming servers. We understand that regulators in the US and European Union do not prohibit such practices. ISPs in Singapore cannot impose extra charges on consumers or providers of over-the-top (OTT) services like WhatsApp and Skype where these harm competition or end-users’ interests. Since the formalisation of the net neutrality policy, IDA has monitored market practices and has not found any pattern to suggest that ISPs are operating in breach of this policy. Why is pneumococcal disease on the National Childhood Immunisation Scheduleas recommended by the Expert Committee on Immunisation, but not provided for free? Making it free could encourage a higher take up rate and build up herd immunity against the disease, which occurs only when a significant portion of a population is immunised. The National Childhood Immunisation Schedule (NCIS) lists seven vaccinations against infectious diseases for children under 18 months. All are free at polyclinics, except the pneumococcal disease vaccination. Although Medisave and the Child Development Account can be used to pay for it, these have alternative uses. Some parents may decide against this vaccination if they have to pay, especially if they are not aware of the dangers of this disease. It is the leading infectious cause of death in children worldwide, and can cause deafness, brain damage, paralysis and even death. There were 146 cases diagnosed last year in Singapore. Can the Minister share what percentage of children above 2 years have been immunised against pneumococcal disease? Why is pneumococcal disease on the NCIS as recommended by the Expert Committee on Immunisation, but not provided for free? Making it free could encourage a higher take up rate and build up herd immunity against the disease, which occurs only when a significant portion of a population is immunised. Collecting data by income brackets could help the Government better calibrate social and health programmes. If socioeconomic factors indeed affect Singaporeans’ health status, then social interventions should be used to complement healthy-lifestyle campaigns targeting particular races, genders or age groups. If such data has already been collected, then it should be made available to researchers and the public. MOH has released a good amount of health-related data on its websites and in response to Parliamentary questions, and I appreciate the Ministry’s willingness to release this data. However, there remain some information gaps which I hope can be addressed. We typically see health reports from MOH stratifying disease rates by ethnicity, gender and age, but seldom by income level. Several studies in other countries have found an association between income and health, with low income households tending to have poorer health. New transport technologies like drones and self-driving cars have the potential to improve our quality of life, increase productivity and contribute to economic growth. It is important that regulation stays ahead of the curve, so as to provide a welcoming environment for these technologies, while addressing safety and security concerns. Commercial aerial drones have seen an explosion of interest in recent years. They have found an eager marketplace among movie-makers, online retailers and security companies, just to name a few. Even the National Environment Agency (NEA) is reportedly planning to use drones to search for mosquito breeding grounds. Global spending on drones could be almost US$100 billion over the next decade. There are legitimate concerns about safety, security and privacy, but these can and should be addressed without stifling innovation. MOT said that it has started reviewing the regulatory framework for drones. May I ask for an update, including when the public consultation will take place and when the review will be completed? Self-driving cars will revolutionise the urban transport scene. They are potentially safer, and can drastically reduce the car population, free up car park space and cut down on emissions. Many countries are in the process of passing laws to allow driverless cars to be tested on public roads, including Sweden, Japan and several US states. Big technology companies and major car-makers, as well as some local research institutions and companies, are all racing to develop their own self-driving cars. As with drones, I believe Singapore is in an excellent position to lead the world in the adoption of driverless cars, but we must ensure that legislation promotes, and does not inhibit, the test-bedding and public use of these vehicles. Government regulation in many countries often lags behind technology. Singapore should strive to do things differently, and be among the first to reap the social and economic benefits of these innovations. Public transport accessibility is a key enabler for people with disabilities to commute for work and leisure, empowering them to be more independent, and enjoy more fulfilling lives and productive careers. This will more fully tap the potential of many Singaporeans. Much progress has been made over the years to make our buildings and public transport system more accessible. I am of the view that Singapore should strive to become a world leader in public transport accessibility. We should strive provide accessibility from door-to-door, especially for wheelchair users and visually-impaired residents, including the “first and last mile” routes between bus stops and homes, which could be located anywhere on the island. Currently only 14% of the 6,000 signalised pedestrian crossings in Singapore are equipped with audible pedestrian signals (APS). This means that visually-impaired pedestrians may still face difficulty crossing the remaining 86%. Noise disturbance has been cited as a reason for not installing more APS or extending their operating hours. 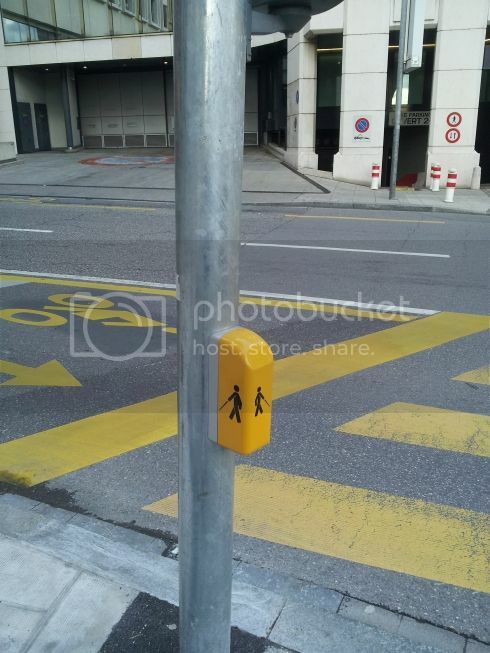 Can I suggest that tactile pedestrian signals be installed at all signalised crossings, as is common in cities like Geneva? (See Fig. 1 and 2 below.) 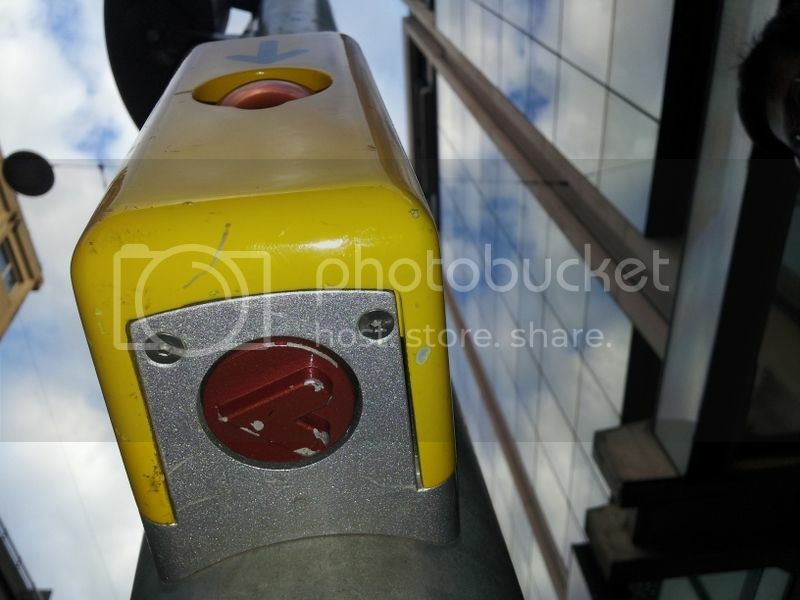 These are little arrows located next to the crossings, which vibrate when the green man lights up. Tactile announcements can also be used at all bus stops to inform visually-impaired commuters of the incoming bus service number, without disturbing nearby residents. LTA says that about 50% of buses are currently wheelchair accessible and it aims for 100% coverage by 2020 while SBS Transit is aiming for 2023. Can MOT push for a fully wheelchair accessible fleet to be rolled out earlier, for the benefit of wheelchair users, which nowadays include an increasing number of elderly residents? Can the Minister share what is the estimated cost of building this dedicated telecoms network? Last month, the Government announced that it is planning to build a dedicated telecoms network for public sector use, as part of the ‘smart nation’ push. Instead of leasing connectivity, as is usually the case now, the Government will own the network backbone infrastructure. IDA (Info-comm Development Authority) said this is to provide a platform that is secure and trusted to safeguard potentially sensitive information used across multiple government agencies. There are many security and privacy mechanisms that can be put in place to prevent unauthorised access by both outsiders and insiders. Just because a network is owned by the Government does not, in and of itself, make it more secure than if it were owned by private entities. In any case, the Government plans to commission private sector telcos to operate this dedicated network on its behalf, so they will still have access to it. The other reason cited is that the Government wants to build a common infrastructure to support the deployment of smart nation applications. Can this not be achieved by expanding the capacity and resiliency of existing infrastructure? I am not sure if these reasons justify the cost to the public purse of building a dedicated network. How will the Government ensure that its dedicated network does not end up with excess capacity, while the public networks become increasingly clogged? Lastly, can we be sure Government will not sell away its telecoms network infrastructure to private enterprises in the future, like what happened to OpenNet, which was sold to a SingTel-owned company in October 2014? Tham, Irene, “Govt to get own telecoms network in smart nation push,” The Straits Times, 4 February 2015. Update (10 March): The Minister for Communications and Information has pointed out that OpenNet was not owned by the Government. It was a consortium of companies and its sale was approved by the telecoms regulator, IDA. According to the Credit Suisse Global Wealth Databook, the top 1% of Singapore’s wealthiest people hold 29% of the country’s wealth, and the top 10% hold 60%. Wealth inequality in Singapore fell slightly during the Global Financial Crisis in 2008, but since the economic recovery, it been showing an uptrend again. Much has been discussed in recent years about income inequality and the steps that have been taken to reduce it. What is less discussed, but no less troubling, is wealth inequality, which refers to the unequal distribution of assets, including land, property, stocks and inheritances. Wealth inequality can increase income inequality over the long term. The wealthy can increase their income from not just high salaries and bonuses, but also from their assets, in the form of rent, dividends, interest, profits, capital gains or royalties. Those with less wealth depend almost exclusively on income from their own labour. Of course, complete equality of income and wealth are both unrealistic and undesirable. However, reputable studies have shown that in advanced economies, greater income inequality is associated with diminished social mobility and less equality of opportunity. Does the Government share my concern about wealth inequality in Singapore, and if so, what are its strategies and plans to narrow this gap? How are statistics on wealth inequality being tracked by the Government? The Department of Statistics has said it will continue to monitor international developments in the compilation of wealth statistics, and review the feasibility of doing so in Singapore. Does MOF take the same approach, and if so, have there been any developments in compiling wealth statistics? See speech by Janet Yellen (Chair, Board of Governors of the Federal Reserve System), “Perspectives on Inequality and Opportunity from the Survey of Consumer Finances,” 17 October 2014.